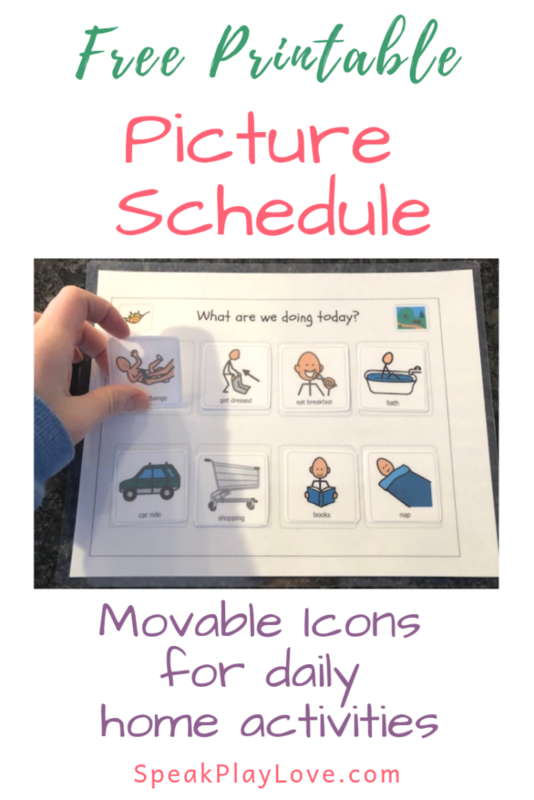 Toddler Visual Schedule with Movable Icons (Free Printable!) | Speak. Play. Love. 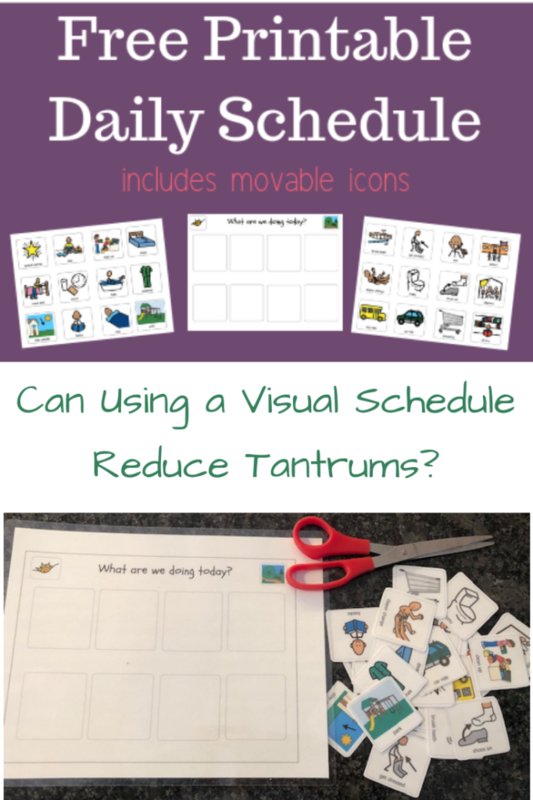 I’ve been wondering: Will Using a Toddler Visual Schedule Reduce Tantrums? This post is inspired by the newfound “independence” of my toddler. (A.K.A saying, “No No No!” about everything). Want to try using a schedule along with us? 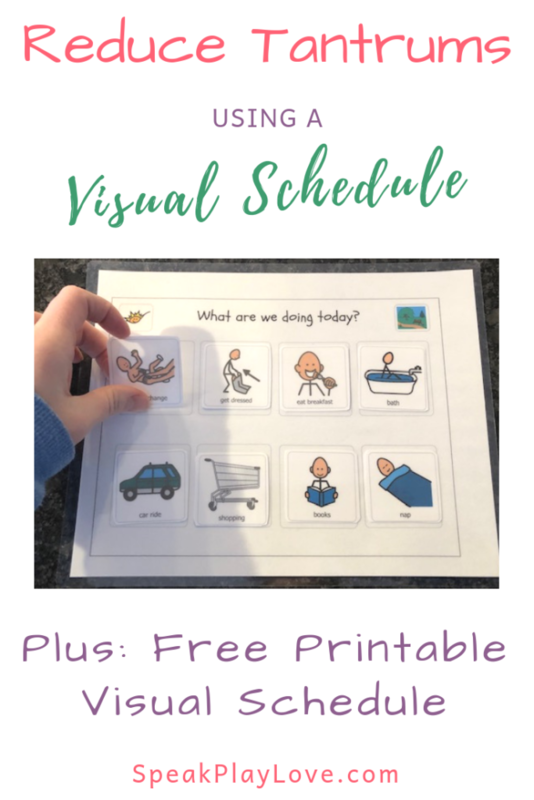 Download a free visual schedule below with interchangeable icons. Let’s try this out together! Did I mention the meltdowns and no no no’s? Even though I try to stick to a basic schedule, every other day is different for Sylvie because I work three days a week and stay home with her the other days. I noticed that just telling her about her schedule helped . . . a little. 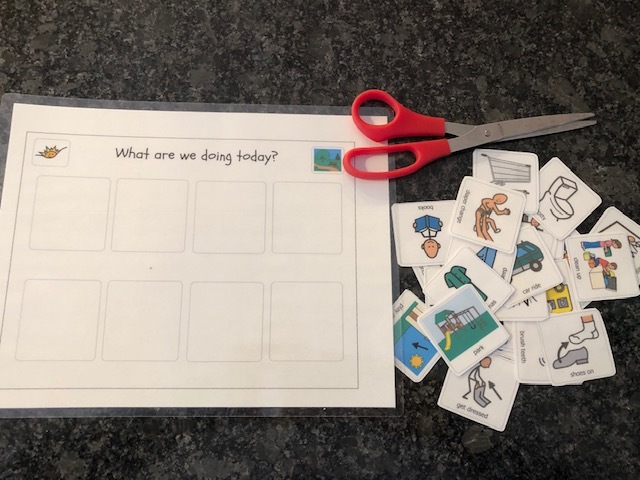 That got me thinking: I’ve worked in special education for years and one of the first strategies we use is a visual schedule to increase cooperation and reduce anxiety about what is coming up next. 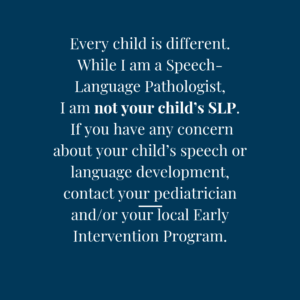 BUT using a visual schedule is not just for special education, it’s about the child’s level of understanding and language memory. 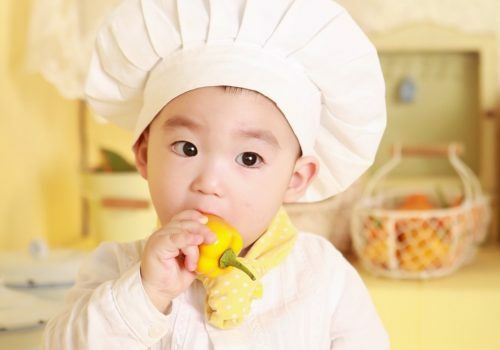 Toddlers are still learning those skills! Sylvie understands a lot, but understanding and remembering a whole list of activities is too much at her age. And sometimes she has “selective hearing” and focuses on the most fun thing on the list, not remembering that I said we have to get dressed and put on shoes before we go the park. Because our schedule changes from day to day (and because I wanted to share this with readers), I made a bunch of different icons that can be switched around depending on the day! *I would not recommend using all the icons at once – that’s too much. Try picking the most important ones (maybe the most fun combined with some of the most challenging ones for your child to comply with). I am planning to make a schedule for morning through nap-time and then reset it if needed for the afternoon. For us, the first half of the day is more structured. But please use this schedule however it works for you! 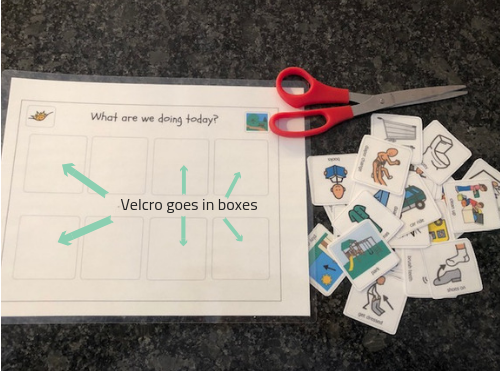 Please comment below if you are trying this out with us and/or have tips for other parents using a visual schedule. First, get your free printable schedule below. Cut out the icons you think you’ll use – let me know if I am missing any important icons! Laminate (recommended, but not necessary) I like these thick laminating pouches to they are nice and sturdy! Put Velcro on each square and on the front boxes. Put icons on your schedule according to what you’ll be doing that day. You don’t have to include every detail, play with it and see what helps your toddler the most. 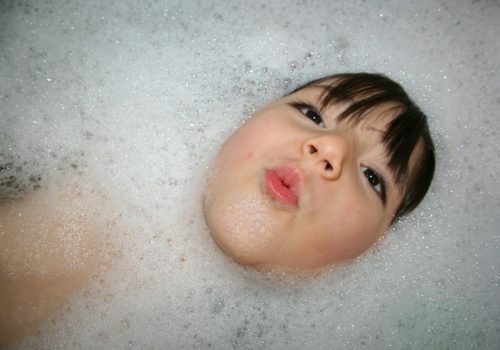 It might be every detail about the getting ready routine so you can get out the door to daycare. Or it might be more of an overview of the day! Go over the whole schedule with your child. Keep the schedule in a central location that your child can come back to when he wants to see what is coming up next. 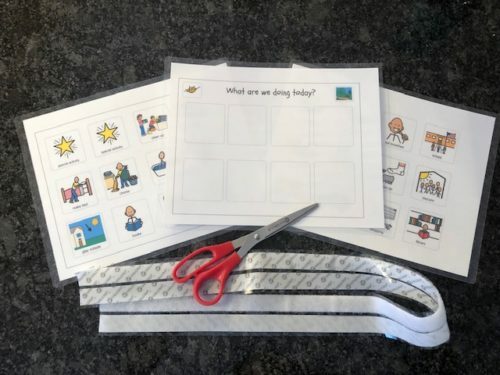 Once an activity/icon is completed, have your child pull off the icon (Gotta love that Velcro!) and either stick in on the back or put it in a box/bag. 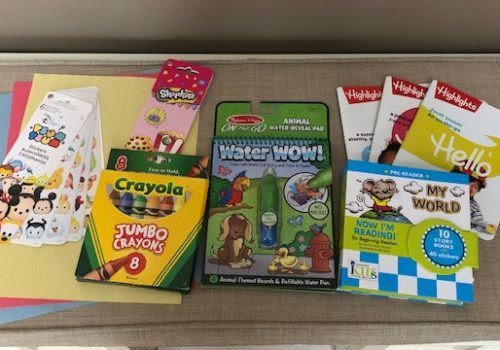 Give praise – You want your child to feel the satisfaction of completing a task – just like you feel satisfaction at checking off an item on your to-do list! If you need to change something as the day goes, show your child as you change it. This can really help with understanding changes and increasing flexibility. Okay – Let’s do it! 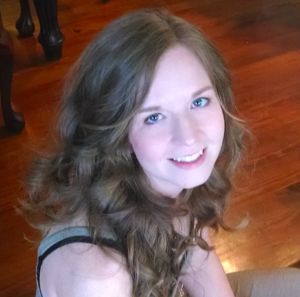 I’ll write an update in my subscriber email newsletter soon to let you know how it’s going!